Walking through town during the week I spotted a buddy of mine heading my way. This was a little bit awkward..
Just two weeks ago his wife had passed away after losing a horrible three year battle with cancer. The last time I saw him was at the funeral home where I joined the huge queue of mourners, shook his hand. gave him a hug and did the same with his children. “So sorry” …it’s about as much as I was able to muster up at the time. His wife had always been so great to me…I’ll miss her. Face to face for the first time since the funeral home we stopped and chatted. “How are you doing?” while this was an obvious question I felt awful asking it ..what was I expecting? “I’m ok” he said. We stood there for 15 minutes debating the issue. He felt Suarez was a disgrace and deserved a huge ban and Liverpool FC should be glad to just get rid of him. As a huge Liverpool and Suarez fan I disagreed. The ban was about FIFA reacting to huge pressure – Suarez seems to be a nice guy, he is respected by his team mates and in England he was recently voted by the other players as the Players Player of the Year. This is the highest honour in England voted by his teammates and opponents – if he was an aggressive, dirty, dangerous player that no one respected he would not have got this huge award. Added to this he is a truly incredible footballer who is a gift to the sport and for me the objective with the punishment should have been to rehabilitate a player with some unusual psychological problem rather than this incorrect and brutal show of power. The punishment was to Uruguay, Liverpool FC, football fans everywhere and of course to Luis ….none of it in my view dealing responsibly with the unusual problem that he has. We debated, we chatted and for a while all that existed was Luis Suarez and the World Cup. We both went on our way. This entry was posted on June 28, 2014 at 5:10 pm and is filed under Bereavement, Friendship. You can follow any responses to this entry through the RSS 2.0 feed. You can leave a response, or trackback from your own site. first of all, my condolances to your friend. Having gone through something similar, I know all too well how difficult it is to pick yourself up after a loss like that. People talking about everyday things is a welcome distraction. I am sure your friend appreciated that. On the Luis Suarez incident, I regret to disagree with you. I think Suarez is in the same mould as Cantona and Marradona. Brilliant soccer players but flawed individuals. The world cup is a global event. What Suarez did has absolutely nothing to do with soccer. Considering this is his third offence, I don;t think he can have any complaints, especially since upto now he has not even come close to apologise for this appaling behavior. I do agree he needs help, serious help. I hope that he will use the time away from the game to seek that help and deal with this issue. Thanks Rudy …hope you are doing well. Would love to meet up soon. 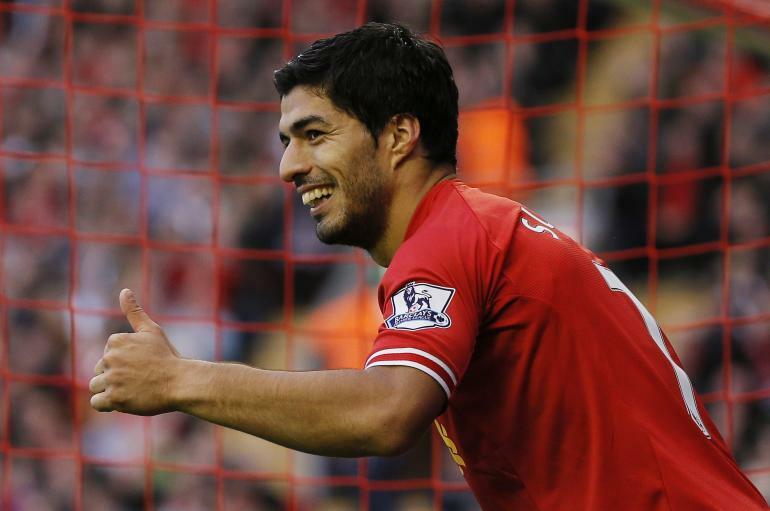 Take it easy out there …I’ll tell Luis you were asking for him! Your friend might have appreciated the opportunity to give his mind a break from everything that’s going on and I’m sure the friendly conversation let him know you were thinking of him. At this stage it’s looking likely Luis will be off to Barcelona. His heart seems set on it and if we get a good price it’ll be worth it. Better than a summer of ‘will he/wont’ he? Personally I don’t think he deserved such a long ban, considering it wasn’t a dangerous tackle that risked seriously hurting another player. I got the impression FIFA were playing to the crowd. I’d like to see them react as strongly to instances of corruption in the game. I didn’t see that at all – the time difference is making it very difficult to watch games, although I did manage to see extra time for the Argentina v. Netherlands this morning. I feel a bit sorry for the Dutch but such is life. Biting belongs in the playground really but maybe they should distinguish between the mad and the bad?